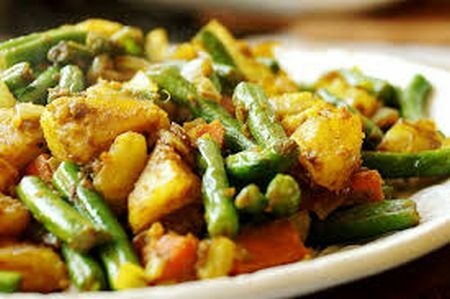 Fresh potatoes and long green beans sauteed with onions, green peppers, tomatoes and Nepalese spices. 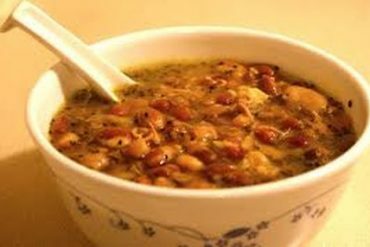 A soup with many beans. 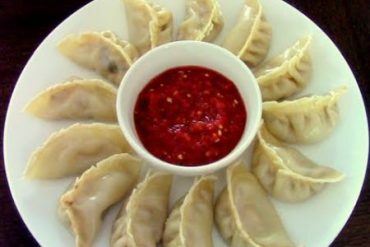 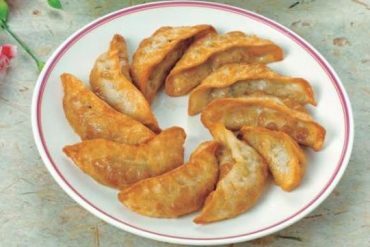 Minced chicken with onion, garlic and Himalayan spices wrapped in dough and steamed.